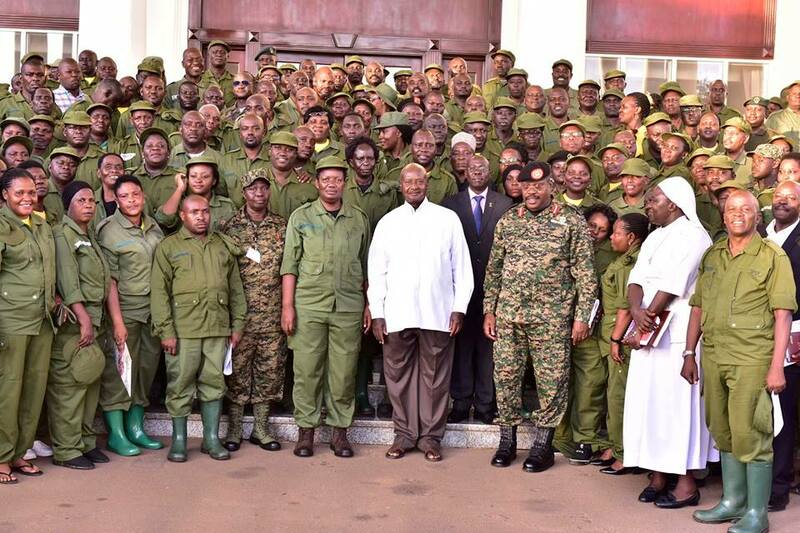 ENTEBBE – President Museveni has urged Resident District Commissioners and their deputies to take time and study the needs of society if they are to effectively lead the people. Addressing the incoming RDCs and their deputies at State House, Entebbe on Tuesday, the President said society is changing and so are its needs, and that failure to understand it may bring them challenges. “When one aspires for and assumes a leadership position, they must fortify themselves ideologically, otherwise you encounter and create problems. Leadership means managing society, which is composed of human beings who have been here for four and a half million years,” Museveni said. “A human being is distinguished from other creatures because he adapts nature to his needs rather than adapting himself to nature. Therefore a leader needs to take time and identify the needs of the people and address them,” he added. The meeting was the climax of a week-long induction course the RDCs have been undergoing at the National Leadership Institute Kyankwanzi. “This Kyankwanzi course is good because it helps you appreciate the dynamics of man and society. Like a patient, one cannot treat society’s ills unless they have done a proper diagnosis. This helps you clarify your vision about society,” he told the RDCs. The President emphasized the NRM ideology, saying they should use it to further promote their work. “For the NRM, we have premised our vision and mission of four key principles; Patriotism, Pan-Africanism, Democracy and Socio-Economic Transformation. These, we believe, are crucial for Uganda’s transformation. We also believe that for society to transform, education is a key catalyst. This, combined with appropriate use of technology, should see us move our people into the money economy,” he said. “RDCs, therefore, as leaders must identify the needs of the societies they lead and provide solutions. You must also play a critical role in getting our people out of poverty, especially by supervising wealth creation programmes in your localities. Also, fight crime and help check corruption at local governments,” he added.